Coloplast Self-Cath Straight Tip Intermittent Catheters from IndeMedical.com are 100% latex-free. Each catheter is made of flexible medical grade PVC and has smooth fire polished eyelets for added comfort and ease of use. Order by the case and save! 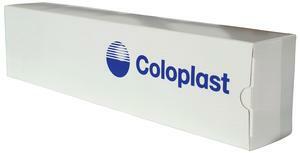 Coloplast Ref Number 408: 8 Fr. 16"
Coloplast Ref Number 410: 10 Fr. 16"
Coloplast Ref Number 412: 12 Fr. 16"
Coloplast Ref Number 414: 14 Fr. 16"
Coloplast Ref Number 416: 16 Fr. 16"
Coloplast Ref Number 418: 18 Fr. 16"
Q: Are these Coloplasts pre-lubricated? Also do you carry the kind of catheter (intermittent) that uses a package of purified water to activate the lubricant? The Coloplast Self-Cath Intermittent Catheters are not pre-lubricated. You will need a form of lubrication to help assist with insertion. Please refer to our Lubricating Jelly category for a full line of products to help with Intermittent Catheterization. 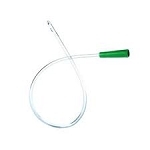 We have several Hydrophillic Catheters with Purified water and or Salin. If you would like to discuss these in greater detail please call us at 480-704-3807.